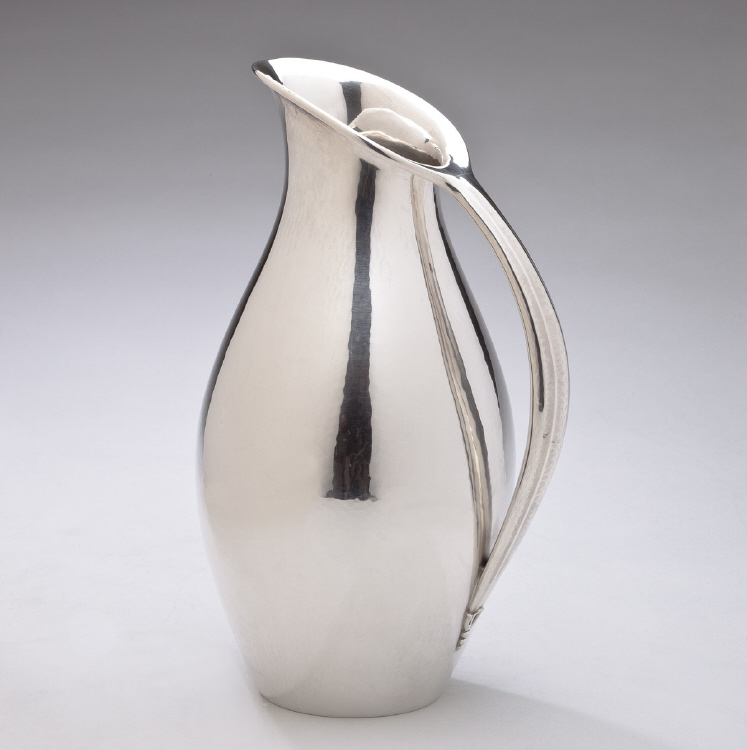 Georg Jensen sterling silver pitcher No. 432A. 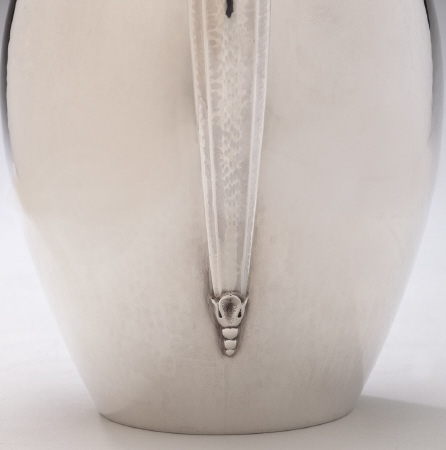 This pitcher was designed by Johan Rohde in 1920's. Pitcher has elongated baluster form. The pitcher measures 9 inches high and bears impressed company marks for Georg Jensen, Sterling, Denmark. This pitcher is in the permanent collection of the Victoria and Albert Museum, London. This pitcher is in excellent condition.